Sara had to bake cupcakes for Blake's stuffed friend Raccoon-Y's birthday. She brought a bunch of them over to our house because you can never have too many cupcakes - right? 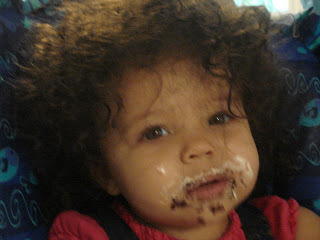 Zoe likes cupcakes... A LOT!! !